Host Jian Ghomeshi of CBC Radio One’s Q has an astounding new interview with Margaret Atwood. 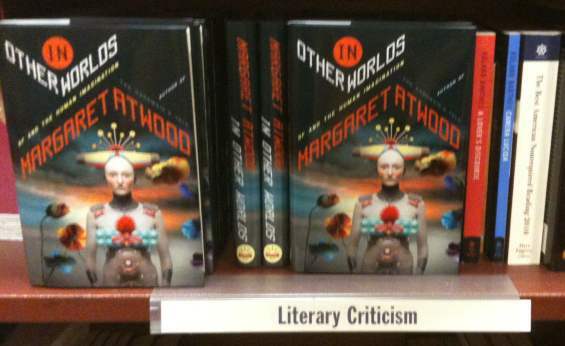 Atwood’s latest book, In Other Worlds: SF And The Human Imagination, can be found in the “Literary Criticism” section of your local paperbook store. Gomeshi talked to Atwood about the realistic novel, comics, Weird Tales and the “sluttish” reputation of SF. One point in the interview left me confused and asking questions. Atwood claimed that “Conan the Barbarian is the literary descendant of Walt Whitman … and Henry James”. Did she mean to say that Robert E. Howard himself was their literary descendant? Surely she didn’t mean the the character. Either way I don’t get it. Or maybe she meant the stories themselves were somehow in the tradition of Walt Whitman and Henry James??? How could that be? No matter how I look at it I don’t see how either Walt Whitman or Henry James ties into Howard. It just doesn’t make any kind of sense to me. Does anybody know what the hell Atwood meant by that? Will I have to buy her book to understand this thesis? P.S. CBC, please release Apocalypse Al. You can call it “scientific romance” or something else, just release it. “Walt Whitman” = Conan does whatever he wants to do, possibly also enjoying watching all the crazy things other people do in the world. Henry James = Conan is supposedly concerned with interaction between the “Old World” of civilization and the “New World” of barbarians, which will inevitably conquer all in the end. It’s a strange and possibly stupid thing to say, but it does have some kind of literary “archetypes of American literature” code inside it. Sort of like that stupid Darmok metaphor episode of Star Trek Next Gen.
Also, sometimes the character of Walt Whitman is naked, and sometimes the character of Conan is naked too. I suppose. I liked Darmok. 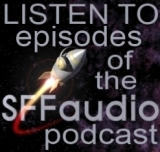 It’s soft SF, I never need to see it again, but I liked it. I think it’s pretty easy to see the analogues between Whitman, James and Howard, and more specifically how they relate to Conan. Walt Whitman: look at “Song of Myself,” then compare it to Conan’s philosophy in “Queen of the Black Coast.” That entire poem could sum up Conan in a nutshell: the emphasis on freedom, the mixture of poetic romanticism with harsh grittiness, the vitality and raw energy. Henry James’ conceit of the old world being corrupt, decadent but seductive and the new world emphasising freedom of expression and almost perfectly aligns with the civilization versus barbarism dynamic of the Conan stories: Conan is, in many ways, a quintessentially American creation roaming a European world, with much of the conflict arising from Conan’s barbaric mindset clashing with the ways of civilized folk. The relation of Whitman and James to Conan bear more study, to be sure. In short, I think Conan is a creation very much in the tradition of certain aspects of Whitman and James: an American asserting himself from the European, rejecting the Anglophilia/Europhilia among the literati of the time, emphasising “American” values, all that jazz. There’s a lot of stuff that doesn’t apply in there too though. That’s not Conan as much as Howard though, and we really don’t get much of an exploration of the “new world” in Conan’s adventures – he’s mostly just adventuring in the old world and expressing Howard’s attitudes about how civilization makes people soft. The closest Conan comes to adventuring in the new world will actually be in the next podcast (on Monday) – which is Beyond The Black River. The literary ancestor of Conan, who seems much more obvious to me is Jack London. Specifically his novel The Call Of The Wild. That’s a kind of Conan story told in reverse. It is the story of Buck, the dog king, who becomes the wolf king. It has that and it has lots of atavism, a quest for treasure, heroism, feats of strength, deprivation, a reverence for nature, and a whole lot of bloody violence. Buck even gets whacked on the head – knocked out, and caged! There’s also a lot of talk about foolish people doing foolish things because they come from a soft land (see also London’s To Build A Fire). And on top of all that it has lots of race talk – with a quasi-Howard-like mixed ambivalence towards it. Oh, I’m afraid I misread your interpretation: I thought you were concerned about there being *no* link between Howard, James and Whitman, rather than more specific literary descendants. From that point of view, it’s pretty clear not just from reading the stories, but from Howard’s letters that London was a primary influence. No, you probably didn’t. I still really don’t see the James connection, though I now think the one you pointed out for Song Of Myself (Whitman) is probably in part what Atwood was referring to. Part of the problem is that Atwood’s literary voice is sarcastic and obtuse – and it doesnt help that her actual speaking voice is dry and monotonous. I find it rather hard to tell when, or if, she is making a joke.